We are all about aquatic fitness, and we know that making time for personal wellness isn’t always easy. This is why we developed Endless Pools Fitness Systems with your wellness in mind. There is no other name in aquatic fitness systems that is as recognized as Endless Pools. After all, Endless Pools pioneered propeller-driven swim-in-place technology in 1988 and has remained the swim spa industry-leader for nearly 30 years. 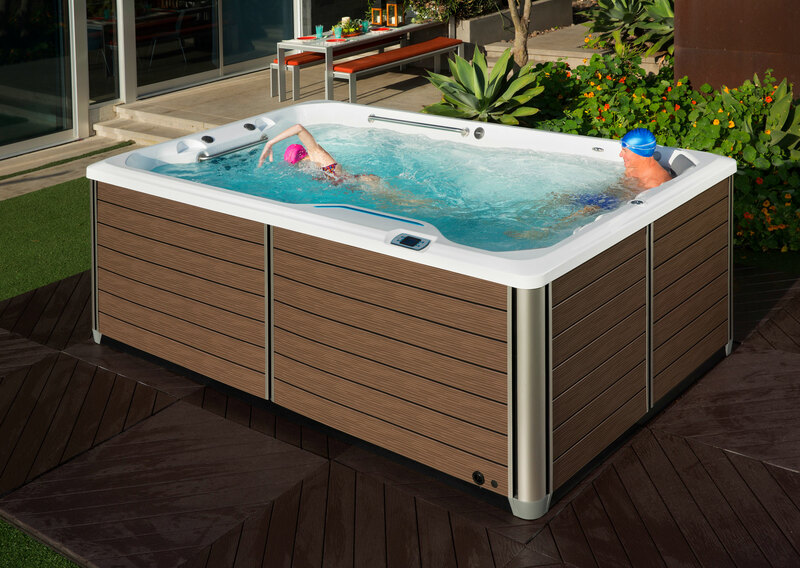 The extraordinary swim current generator has helped over 20,000 swimmers of all skill levels experience the many benefits of aquatic fitness in personal swim spas. With the exceptional performance of the Endless Pools Swim Machine, it’s no wonder why its appeal ranges from the casual swimmer to the most elite professional. This all-new fFitness system combines the revolutionary Endless Pools Swim Machine with optional underwater treadmill, rowing, strength-training exercises and relaxing hydrotherapy. 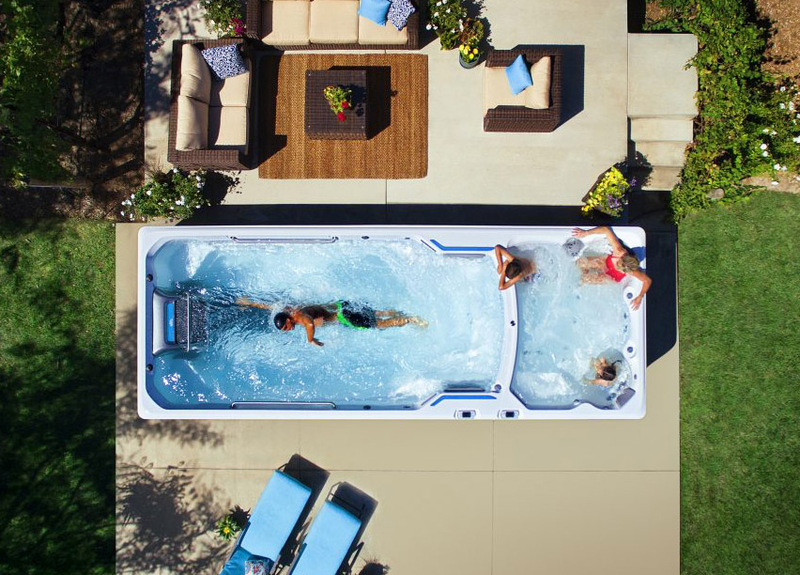 With Endless Pools Fitness Systems you’ll benefit from having a fully functional home wellness system that is convenient to use and beautiful enough to be the centerpiece of your backyard. Introducing a jetted swim option with exceptional value, from the makers of Endless Pools. SwimCross Exercise Systems stand out from other jetted options because the five swim jets are air-free and produce a less turbulent current than the typical jetted swim spa. From novice to expert swimmers, all will enjoy the systems’ five output levels, as well as the workout options of rowing, resistance exercise and relaxing hydrotherapy that are also available.